a. 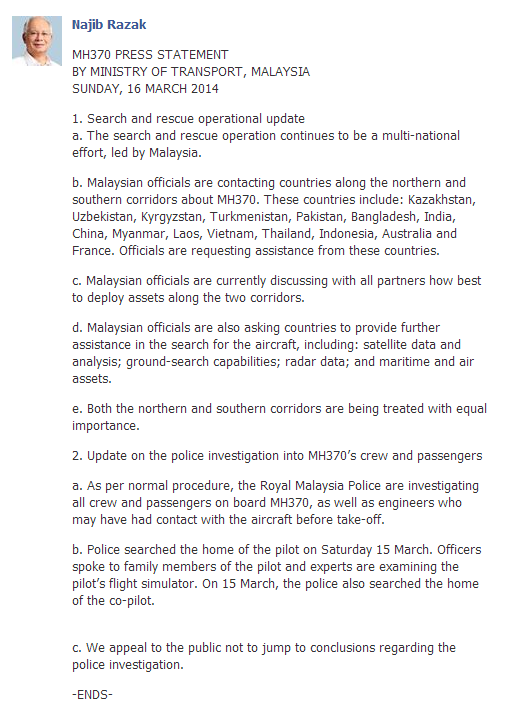 The search and rescue operation continues to be a multi-national effort, led by Malaysia. 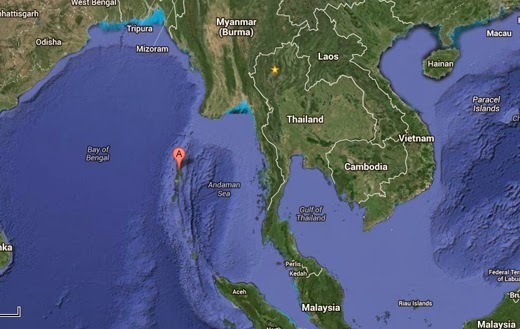 b. Malaysian officials are contacting countries along the northern and southern corridors about MH370. These countries include: Kazakhstan, Uzbekistan, Kyrgyzstan, Turkmenistan, Pakistan, Bangladesh, India, China, Myanmar, Laos, Vietnam, Thailand, Indonesia, Australia and France. Officials are requesting assistance from these countries. c. Malaysian officials are currently discussing with all partners how best to deploy assets along the two corridors. d. Malaysian officials are also asking countries to provide further assistance in the search for the aircraft, including: satellite data and analysis; ground-search capabilities; radar data; and maritime and air assets. e. Both the northern and southern corridors are being treated with equal importance. a. As per normal procedure, the Royal Malaysia Police are investigating all crew and passengers on board MH370, as well as engineers who may have had contact with the aircraft before take-off. b. Police searched the home of the pilot on Saturday 15 March. Officers spoke to family members of the pilot and experts are examining the pilot’s flight simulator. On 15 March, the police also searched the home of the co-pilot. c. We appeal to the public not to jump to conclusions regarding the police investigation.